This article was originally published in the newspaper Pohjalainen 10.2.2002. Published in the Finnish Virtual Pilots Association War History pages with the permission of the original author. The low rumble of the Hawk approaching Kauhava Finnish Air Force Base comes inside when the fighter ace and veteran pilot Mauno Fräntilä pours coffee. In the Fräntilä´s house, which is few hundred meters from the airfield of the Air Force training base, they are used to the sound of aircrafts. 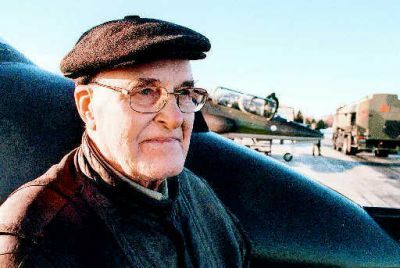 Mauno Fräntilä, 85 years, has been in 40 air battles and 380 combat sorties. During the war years he flew in the legendary Fighter Squadron 24 (HLeLv 24). The enemy and the years have taken from his side all other of the thirty men who belonged to the squadron formed before the Winter War. The last one to go was Joppe Karhunen, who was known as a author. Karhunen´s funeral was just recently in Tampere. Finnish Air Force promised to take Mr. Fräntilä to the funeral by an airplane, but he said the journey to be too tiring and so he respected the memory of the deceased at home. Fräntilä is one of the last old blocks around who created the fame of the Finnish pilots already in the Winter War. Fräntilä and the squadron prepared themselves for the war in Utti. - We discussed all nights the tactics against the enemy. We studied the pictures of the enemy aicraft and looked for the dead angles for the enemy gunners so that we could approach from the right direction. - During that time the spirit of Utti was born. It was solidarity and the principle that a pal will not be left behind. We were ready when the war started. Fräntilä told that soon after starting the "war work" they found out the superiority of the Finns, and the shortcomings of the enemy pilots' training. - Our training was individual and given from hand to hand. When a new man came to the squadron he always flew as a wingman in the beginning in order to learn the combat tactics. In the Winter War the conditions were extremely hard. It was cold, even up to minus 40 degrees. The mechanics started well before the dawn to warm up the engines with the torches and to heat the oil in the sauna water kettle . The freezing job of cleaning the machine guns after the flight was left to the pilots. Fräntilä´s Winter War ended in a forced landing just a week before the war ended. In that evening at 17.00 hours came a notification of 30 enemy fighters. During the combat Fräntilä´s Fokker D-XXI was shot full of holes and he himself was wounded to the right side of chest and to the left shoulder. - I pushed the throttle into maximum but the engine was already dead. I decided to land on a field below were I could see six enemy tanks. When he got to the field between the lines Fräntilä saw a haybarn 50 meters from him and started to go there. However, foreign language and a burst from a machine gun stopped him. - Always when I dived few meters forward snow was boiling around me but I was not hit. When he got behind the barn Fräntilä shouted to the own men to come and pick him up but only after the darkness fell he was put into a sleigh. He had lost lot of blood and his back had frozen to the ground during the three hours wait. - I listened there behind the barn with a pistol in my hand and decided that I will not be taken prisoner. When (general) Pajari together with his troops had taken Suursaari island (island positioned in strategic position in the Gulf of Finland) during the Continuation War in 1942 he organised a victory parade on the sea ice and asked a squadron to cover it. Fräntilä was there together with 11 other fighters during the parade. When it was time to leave we heard that 29 enemy fighters are approaching. - Well, we stayed there to give them a warm welcome. The boys in the parade on the ice had a good view when we were fighting above. The Russki planes formed a circle from which we were picking them one after the other. Three of our planes were between Suursaari and Lavansaari so that the Russkies could not escape. - It was hard for our staff to believe that we had shot down 23 fighters. We didn´t get even one hole, Fräntilä was recalling. Fräntilä got radio call sign "Räntä" (sleet) and he managed to fly also with Brewsters between the wars. In the beginning of the Continuation War his tool was Curtiss P-36. 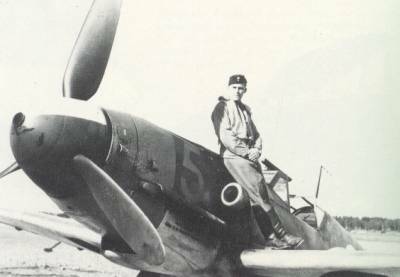 In 1943 Fräntilä went to Austria together with 17 other pilots to fly the first Messerschmitts to Finland. - We didn´t know the language. We sat in the cockpit and just looked around. The Germans were standing by our side. The plane was quite new for them as well. After a few introductory flights the Finnish pilots already prepared to fly home. The Germans said hold on and explained that you have not flown enough. - Well, we reminded that there is a war going on in Finland and that we are in a hurry. The planes are needed immediately and so we left. "Messerchmitt would still be one tough plane"
Fräntilä has followed the development in the aviation and the modern jet aircraft. He believes that Messerschmitt should be taken seriously in the cockpits of the Hawk and Hornet as well. - Fast and maneuverable ME-109 would be a tough opponent in the hands of a skillful pilot. Messerschmitt was during it´s time an efficient fighter and would not be in shame even nowadays. Eventhough the top speeds of the today´s fighters are high the differerencies would even up in a dogfight. - Mersu (Messerchmitt) had three meters long engine in the nose were with 1 500 horsepowers. The speed was at it´s best 750 kilometers per hour. It turned well too, if you just pulled the stick, Fräntilä was recalling the characteristics. 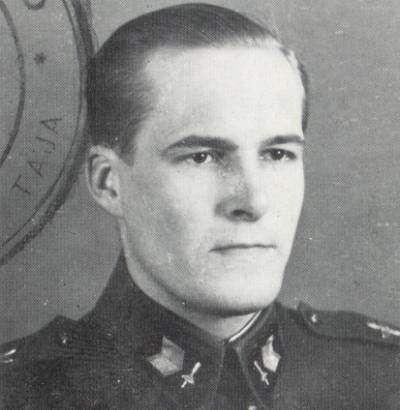 After the peace came Fräntilä was instructing the new generations in Kauhava to the skills of aerial combat until 1956. He managed to try also the Fouga and considered it to be easy to fly. Later he has tried the Hawk simulator as well. He believes that the Finnish training system is still one of the best in the world. Individual instruction is always better than in a group. Fräntilä would like to take the common European military pilot training to Kauhava, provided the Finnish ways of instruction prevail. The incidents of the war have followed with many veterans all 60 years. So is the case also with Fräntilä who often at nights is banking his war plane in the sky. Waking after the spin with a wet shirt in the own bed is the end many dreams. The landing is not always very succesfull and it ends on the bedroom floor. - Wife moved sometimes the bedside table away to prevent damage, Fräntilä told and added that he never went into a spin unintentionally. Mauno Fräntilä was born at Kauhava, 30.4.1917. He served in LeLv 24, LeLv 32, LeLv 34, HLeLv 30, HLeLv34 and HLeLv 30, and resigned from service 30.12.1956. Mr. Fräntilä was awarded following decorations: VM 1, VR 4 and VR 4 2nd class. English translation by Paavo Kajakoski. Black'n'white photographs and victory statistics from book Hävittäjä-Ässät - Finnish Fighter Aces, published by Apali Oy, ISBN 952-5026-00-0. Copyright VLeLv Icebreakers / Virtuaalilentäjät r.y. / Finnish Virtual Pilots Association 2001.